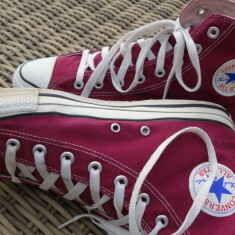 Looking for a new pair of real USA made Vintage Converse All Stars? This is the place to be. 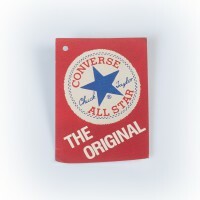 At Vintage Chucks dead stock comes to life. 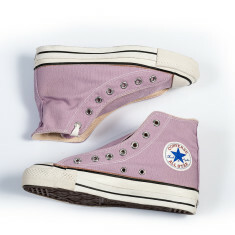 At least for a while, till even I get out of stock. Check out this great colors, all USA made in the late eighties. 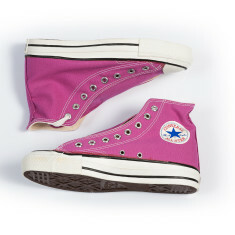 Some of the pairs shown here have the extra stiches collectors are searching for. Have a look and pick your color. Right here you'll find some small but usefull items. 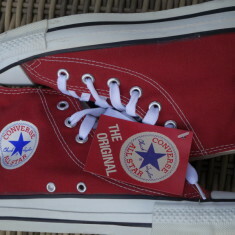 The original Converse laces saved from damaged pairs but also our own Vintage Chucks laces. 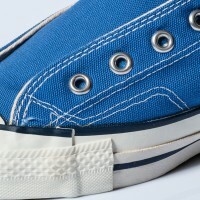 In a while we'll get you some new original heel caps which have been freshly coated to restore your own pair of Vintage Chucks and sets of best matching eyelets to replace missing ones on your own Chucks. 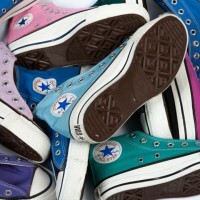 Every week there will be a new pair of used or new Vintage Converse All Stars. I've collected them for the last twenty five years and will sell a part of my collection. Looking for something special? Just let me know.